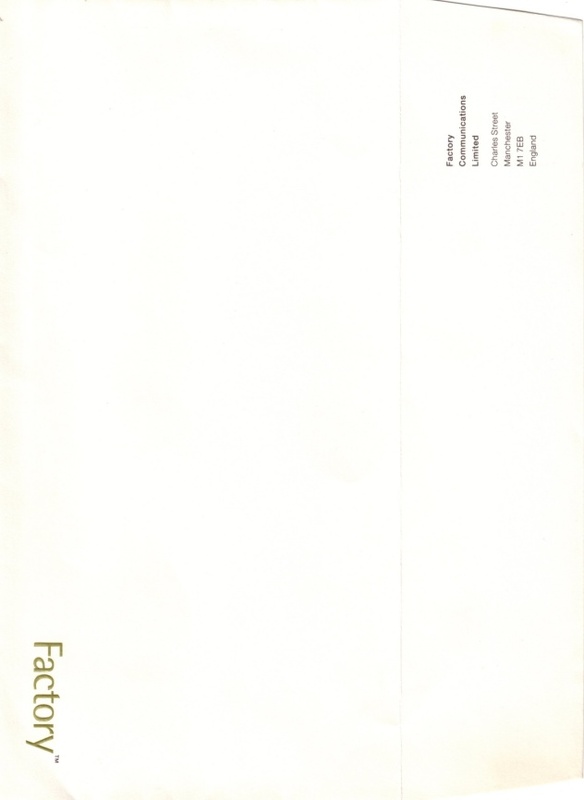 This was Factory Records' Fourth Generation Stationery and features the 'Factory' typographic logo written in the special variant of the font 'Rotis Semi Sans' called 'Factis'. Other stationery items were also produced including letterhead, compliments slips and visiting cards. Thanks to Sebfact for the scan.